Hello folks! 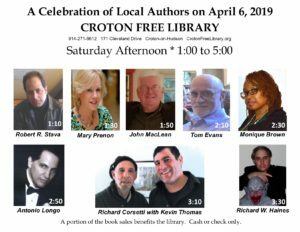 Just a heads up the next book event I’ll be involved in will be April 6th at the Croton Free Library, along with a bunch of other local authors. Swing down for an afternoon of insightful presentations and support your local authors!! !